There’s no difference between two, four, eight, twelve legs! Atoms will simulate any kind of skeleton! 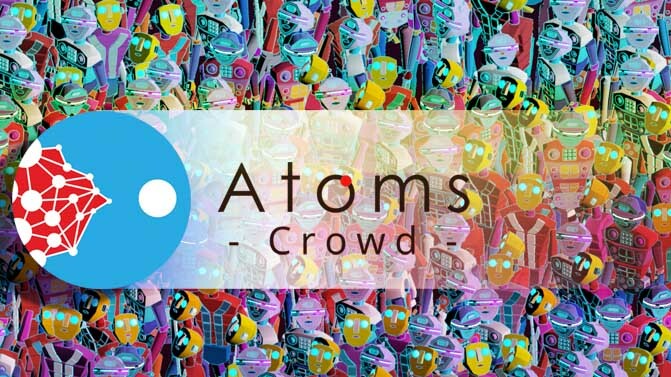 Atoms Crowd supports multiple softwares and each integration shares the same workflow! You can lookdev and prepare your agents in Maya, simulate in Houdini and come back to Maya for rendering. Or do the opposite. Or use only one software. It’s up to you really! Our C++ and Python APIs make it easy for everyone to integrate Atoms Crowd in their pipeline! Founded in 2014 by Daniele Federico and Alan Stanzione, who between them have more than 20 years experience within the VFX and Animation industries. Daniele specializes in animation, rigging and pipeline development and has worked on projects to include Gravity, The Chronicles of Narnia: Prince Caspian, Harry Potter and the Deathly Hallows, Happy Feet 2, The Guardians of the Galaxy to name a few. Alan has a degree in Electronic Engineering and was the main developer of the MPC crowd engine ALICE for many years. ALICE has been used in movies like World War Z, Guardians of the Galaxy, Exodus, Maleficent, 300: Rise of an empire and many others. ToolChefs specialize in creating unique plugins for a variety of software packages, such as Autodesk Maya, The Foundry Nuke, SideFX Houdini and Newtek Lightwave.